The PSMJ Project Management training program, created specifically for managing the design of building and infrastructure projects, is second to none, anywhere on the planet. We’ve been running these programs for over three decades, and we continually rethink, update and improve them. We also offer cost-effective in-house programs, which can be tailored as desired to suit the specific needs of the design practice. To register for a program, or get more information on in-house or public programs, call me: Charles Nelson, +61.3.9686.3846. In addition, PSMJ publishes the Project Management newsletter, filled with the distilled wisdom of PSMJ’s ongoing experience with hundreds of design firms of all sizes and types world-wide. 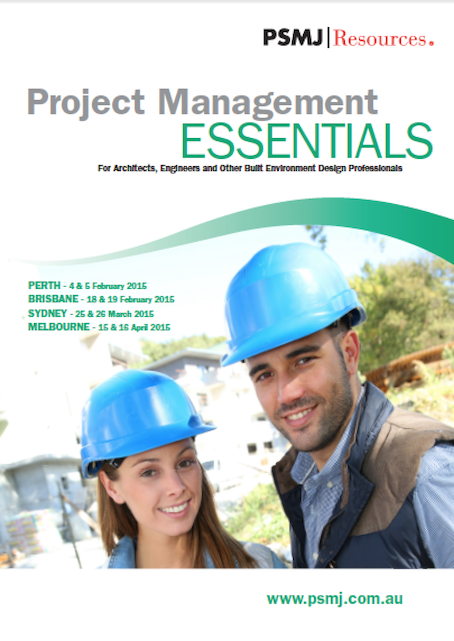 Interested in the future of Project Management? Read my article on the topic here.